A vibrant green earthy fragrance that captures the exhilarating aromatics of a winter forest. The opening notes are a blend of mint-infused eucalyptus, balsam fir needle, and oud wood. Sandalwood, patchouli and vetiver give a creamy texture to the heart, while incense, cedarwood and burnished amber create a warm and inviting dry down. 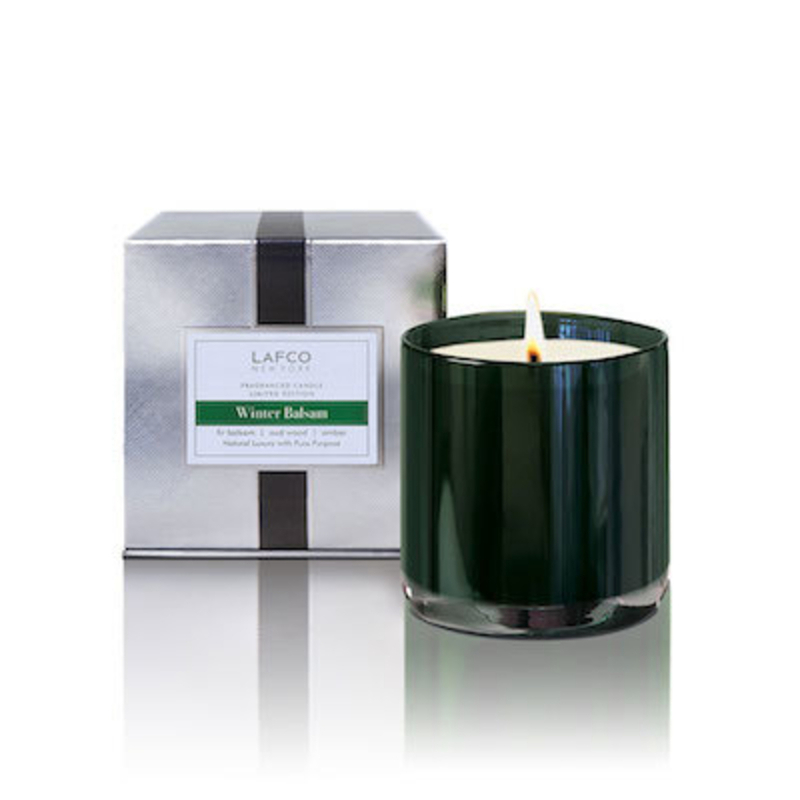 Hand poured in the USA with up to a 50 hour burn time and delivered in a handblown art glass vessel, our Winter Balsam Holiday candles are naturally luxurious.